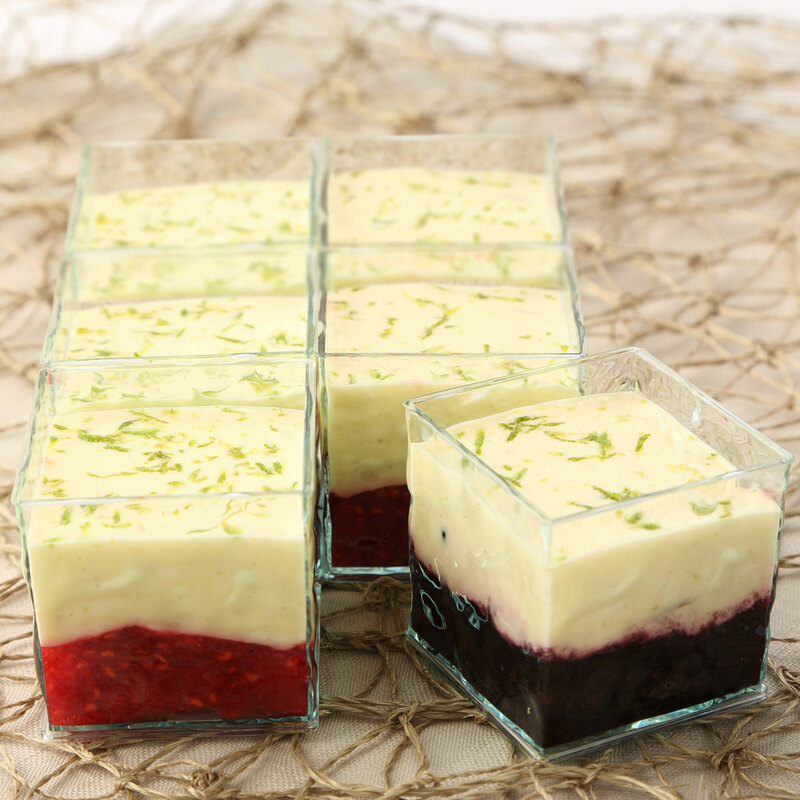 Fresh berry lime infused creams - home cooked food delivered. Our special lime infused cream sits atop a wonderful base of fresh berries, lending a delightfully zingy touch to these elegant, deceptively simple desserts. Perfect for refreshing the palate, and the ideal end to any dinner party. Fresh berries eg blackberries and raspberries, gelatine, double cream (MILK), icing sugar, lime zest and juice.